Kate’s favorite glovemaker is indisputably Cornelia James. The company is the Royal Warrant holder making gloves worn by royal family members, as well as celebrities around the world, from Rihanna to Kate Moss. 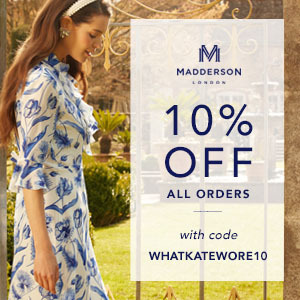 Kate owns several styles, including some worn in multiple colors. Below left, the Imogen style ($92) in black merino wool with a side bow. On the right, the Beatrice ($92); it is also 100% merino wool from Australia, with a bow at the wrist. 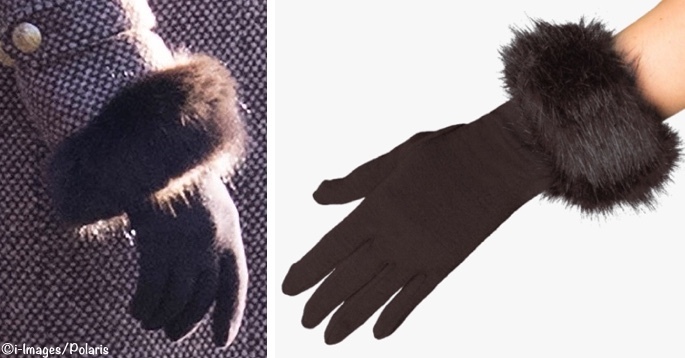 Kate has also been seen wearing the Cornelia James Clementine style ($118), it has faux fur at the wrist.